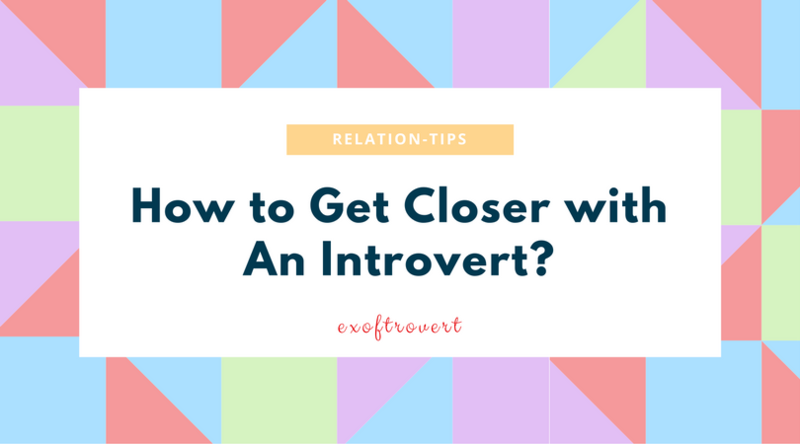 How to Get Closer with An Introvert? 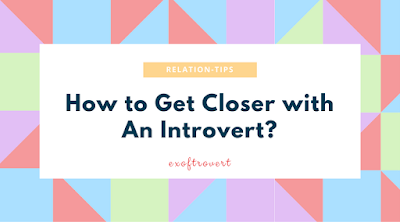 - Ex of Introvert How to Get Closer with An Introvert? How to Get Closer with An Introvert? Introverts usually have their own way of socializing, with little talk and more action. But on the other hand, the figure of an introvert tends to thinkers, whether related to what is planned or about creativity. For others who do not endure this situation, it will be difficult to approach them even just to talk to them. Here are some tips for approaching those who are introverted. Do not hesitate to invite those who introvert to just go for a walk or drink coffee together, or even dinner together. Give them a casual question that can provoke them to talk, but remember, they do not like the chat that tends to lead to a goodbye. Introverts tend to be less likely to talk face-to-face. If you really want to be introverted, try to often send them a short message. They will be more easily expressed through writing than when talking. Being genuine friends, certainly, do not know the word despair. If you try to contact or greet an introvert person, then you feel neglected, do not despair! Sometimes they feel that their mentality is not ready to engage in a conversation with you. Always Give Them Time to Think. What if you offer something to the introvert then they do not immediately answer it, it's good you give them time to think. Yes, they introvert personality owners do take a lot of time to think before deciding something. Whatever the silent response to the chat you started, listen up! A word of two, even when he speaks and has difficulty in expressing something, then help him. Convenience is the key that can change everything. When comfort is found with each other, the introvert will no longer feel embarrassed or hesitate to start a chat with you. Personality with introvert type is usually not too like life is often disturbed. Do not be too presumptuous to enter his life as often play to the house or room, invited him to go to college together, and so forth. On the other hand, he only affirmed and silent, but on the side of it also he harbored feelings of discomfort because his life felt disturbed by your being too often. Set the portion when it should be there for him as a friend, and when to appreciate his closed and happy-looking personality. See The Other Side of Its Reserved Nature. Do not look at someone on one side only. Beyond his quiet personality, thinker and seldom speak, you must find the other side of him. Yes, find the funny nature that can sometimes act silly and humorous. There must be. Approach the introvert slowly, make them comfortable with you, and make sure you do not cover your personality at all. This openness makes the introvert feel confident to be close friends with you, so there is no longer covered up, including his silly behavior though. Home » Friend » Introvert » Relationship » Social » » How to Get Closer with An Introvert?